The Great Ocean Road is a 243 km stretch of road along the south-eastern coast of Australia between the Victorian cities of Torquay and Warrnambool. The road was constructed to provide work for returning soldiers and dedicated as a Memorial to those killed in the First World War. It is one of Australia's great scenic coastline drives. The Great Ocean Road was built by 3000 returned servicemen (or "Diggers") as a war memorial for fellow servicemen who had been killed in the First World War. The idea for the road was suggested as far back as 1864. Surveying began in 1918 and construction took place between 1919 and 1932. Parts of the Great Ocean Road run around steep coastal mountains. These were the trickiest and the final sections to be built. Much of the road hugs the coast tightly, offering outstanding views of Bass Strait and the Southern Ocean. The section near Port Campbell provides access by foot or helicopter to some of the most scenic coastline in the world, because of its striking and dramatic natural limestone and sandstone rock formations. These formations have been created by erosion from waves and rain and include Loch Ard Gorge, the Grotto, London Bridge (renamed to London Arch after the 'bridge' partly collapsed), and most famously the Twelve Apostles. Looking to rent a campervan in Sydney Australia- check out some great Sydney motorhome hire deals! 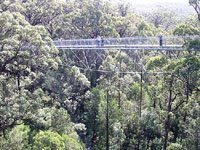 Now is a great time to visit Downunder - its not too hot and there are less tourists on the road. Australia's island state of Tasmania is a great place for a campervan holiday. For a start, it's only 300 kilometres across (364 kilometres (226 mi) long from the northernmost point to the southernmost point and 306 kilometres (190 mi) from west to east), so you're only ever half a day away from the beautiful coastal beaches. Check out the video at the bottom of this post to see what a great campervan holiday in Tasmania looks like. If you're looking for Tasmania campervan hire, check out the deals online at http://tasmaniacampervanhire.com.au. Tasmania is an Australian island and state of the same name. It is located 240 kilometres (150 mi) south of the eastern side of the continent, being separated from it by Bass Strait. The state of Tasmania includes the island of Tasmania, which is the 26th largest island in the world, and other surrounding islands. The state has an estimated population of 500,000 (as of December 2008) with almost half located in the greater Hobart area, and an area of 68,401 square kilometres (26,410 sq mi), of which the main island covers 62,409 square kilometres (24,096 sq mi). Tasmania is promoted as the Natural State and the "Island of Inspiration" owing to its large and relatively unspoiled natural environment. Formally, almost 37% of Tasmania is in reserves, National Parks and World Heritage Sites. The state capital and largest city is Hobart, which encompasses the local government areas of City of Hobart, City of Glenorchy, and City of Clarence, while the satellite town of Kingston (part of the Municipality of Kingborough) is generally included in the Greater Hobart area. Other major population centres include Launceston in the north and Devonport and Burnie in the northwest. Video: A great video by a couple who went on a romantic four-day campervan holiday in Tasmania. Makes me want to head there right now! Book Tasmania campervan hire online at http://tasmaniacampervanhire.com.au. Below is a link to a story about campers who have been illegally staying on private property at Machans Beach, one of the Cairns Northern Beaches in tropical North Queensland. The headline in the article, at www.cairns.com.au, calls it "Battle Over Hippie Haven". 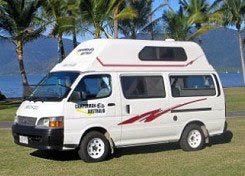 If you're looking for Cairns campervan hire, check out the great deals at http://motorhomesincairns.com.au. But stick to legal campgrounds, or you'll wake up with an angry locals banging on your door! The story goes that a block of private land at Machans Beach has been used by travellers -- "hippies", says the story -- as a campground. Local residents want them gone -- and rangers have spoken to them, but as it's private property the rangers have no jurisdiction. The story gained traction after a real estate agent started marketing the beachfront property, at AUD$1.5 million and discovered campers stayingthere. And when the agent told the owner about the dilemma, the owner laughed and said, "Why wouldn’t you want to camp there, it’s beautiful." Here's the story link. 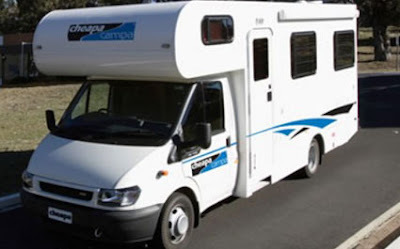 If you're looking for great deals on Cairns campervan hire, check out http://motorhomesincairns.com.au, and access the following sites -- fetchcampervanhirecairns.com.au, cheapcampervanscairns.com.au, familycamperhirecairns.com.au and seniormotorhomerental-cairns.com.au. And remember to camp in a campground! Please check your rental contracts before you do this with a motorhome rental! Will it make it over the other RV - watch and decide! If you Rent an RV - be sure to take out some Drive Easy Insurance! Watch as these daredevils attempt a death defying jump over a motorhome... will they make it? If you want to jump in superb RV Rental Discounts, go to Fetch RV Rental Now! Mike Kenavan said most of the group was retired with many planning longer trips "as the year goes on". Some of the group members have been to, or are planning trips to, Glen Innis, Dysart, Nobby and Adelaide. "We're extremely grateful for sites like this being made available, rather than going into commercial parks," he said. Errol Thompson said while the sites were cheaper, it was a two-way street for the school. "The school gets money from us hiring the school yard and they get unofficial caretakers acting as security for the site," he said. Read the rest of the story here at The Sunshine Coast's The Daily. Thinking of touring Western Australia in a campervan? If you're looking for a fantastic deal on campervan hire in Perth, check out the deals online at campervanhireperth.com.au. They said we'd never make it. They said we'd break down in the middle of nowhere, run out of water and if the unforgiving climate didn't kill us, the guy out of Wolf Creek or another Bradley John Murdoch would. But that didn't stop us setting off in a 1977 Volkswagen campervan sans air-conditioning for a trek across the Nullarbor Plain in blistering heat. Despite the voices of doom, we lived to tell the tale. Alas, the Kombi didn't. Read the rest here, including information about Balladonia, WA, where in 1979 the remains of NASA's Skylab came tumbling down -- the town museum still has pieces of Skylab on display. Video: Road trip, filmed from Perth, Western Australia down to a camping ground destination six hours away in Parry Beach. Thinking of touring South Africa in a campervan? If you're looking for a fantastic deal on campervan hire in South Africa, check out the deals at campervanhiresouthafrica.co.za. "Rates at parks and resorts are charged according to their quality and whether it is low or high season - this differs from region to region. December and Easter are peak times for caravanning and camping in the coastal regions. Expect to pay anything from R150 – R400-plus per day. Some camps and resorts charge per person, others charge for the site. While caravanning and camping is no longer a ‘cheap’ getaway option, it is certainly amongst the most affordable, especially for families. It also offers travelers the independence to explore South Africa’s great outdoors with every comfort in tow. The new caravans offer every luxury, as do the four-by-four camper/motor homes – favoured by international tourists." Remember, if you're looking for a good deal on campervan hire in South Africa, book online at campervanhiresouthafrica.co.za. "If New Zealand were a boxer, it would be a contender for best pound-for-pound puncher on the planet". That's what the writer of this Canadian article reckons, calling NZ "unpretentious despite its wonderful portfolio of naturaltreasures that range from the semi-tropical tip of North Island to the British-like climes at the foot of South Island." 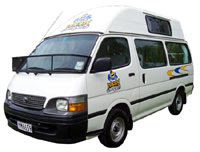 If if you're looking for a great deal on campervan hire in New Zealand, head to campervanhirenewzealand.co.nz. "A popular way of exploring New Zealand is to hire a mini-camper van and take up to four weeks driving around both the North and South Islands, stopping at well-serviced camp sites along the way. We were strapped for time so, apart from a brief foray to Nelson and Abel Tasman Park in the north of South Island, we spent our three-week holiday tooling around North Island, where we visited glorious sandy beaches, hiked over volcanos [sic] and delved into weird and wonderful caves." The writer then details some of the wonderful places and sights they took in, including a ferry trip to the island of Tiritiri Matangi, the world-famous Waitomo glowworm caves, and a trip up Mount Tongariro, where they spotted Mount Ngauruhoe, which doubles for Mt Doom in the Lord of the Rings trilogy. 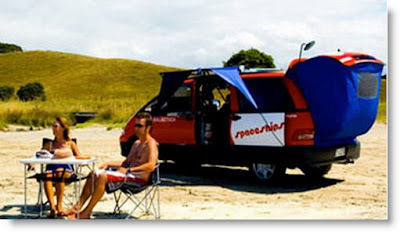 Remember, if if you're looking for a great deal on campervan hire in New Zealand, head to campervanhirenewzealand.co.nz. Let campers and their money stay longer -- that's the call from residents of Goondiwindi, Queensland, Australia, located 350 kilometres south west of the Queensland state capital Brisbane. “Encouraging caravanners to stay for more than one night in towns like Talwood and Toobeah was one of the issues raised on our listening tour earlier in the year,” Cr McMahon said. “Tourists are good for the town. The longer they stay, the better,” said Mr Lindsay.“Signs like this just discourage people from stopping. If they think they can only stay overnight, a lot of people decide to just keep on driving,” he said. Looking for Cheap Campervan Hire in Australia? 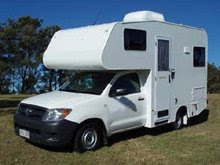 There are great deals online at http://cheapmotorhomes.com.au. The Byron Shire News quoted a Butler Street couple having counted 23 vans in their vicinity one night over Easter. He said rangers had carried out regular patrols of streets known for camping and had directed people to move on as well as issuing on-the-spot parking fines. Rangers also directed more than 500 campers to roadside rest areas at Bangalow, Tyagarah, North Ocean Shores and Yelgun over Easter alone. So it's best to play by the rules -- plan ahead and use campgrounds and try not to leave your overnight stop too late. After all, it's only good manners. 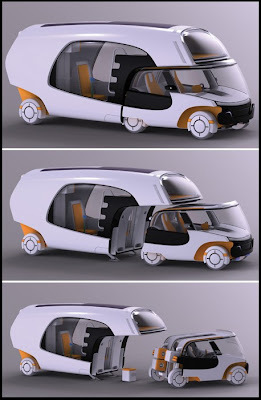 Colim, short for “Colors Of Life In Motion,” is a stunning blend of a motorhome, caravan and a car but the striking feature of this concept is the detachable car. A camper can drive the caravan to any camping location and then remove the car from the main body and drive it anywhere he or she wants to. This design makes sure that the camper is not only enjoying each and every scenic location in the vicinity, but also assures a green and fuel-efficient ride. Ok - shameless promotion: If you are looking for motorhome rental in Germany - check out Envirowohnmobil.com - they have the most modern motorhome rental fleets around. 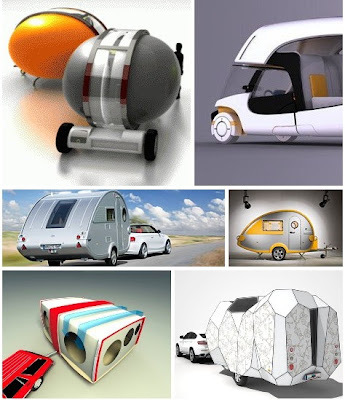 So while these designs may not be in production - you can find yourself a nice contemporary motorhome while enjoying sites of Germany! "We ended up buying a bottle or two of each. It was the least we could do. After all, each of these kind Frenchmen had let us stay with them for a night, for absolutely nothing. Along with about 1,300 other wine-growers and farmers across the country, they have joined an initiative called France Passion, under which holidaymakers with campervans or motor homes can stay on their land, free for a maximum of 24 hours." Video: Some great sceneryfrom a motorhome holiday in France. The road to Millau, taking in Sete Beach, the Camargue, Midi Pyrenees, Viaduct du Millau. Just came across a great site at motorhomefun.co.uk with forums where you can discuss touring the UK. It's always good to get some local knowledge in when planning a trip. If you are planning a UK tour and need to find cheap motorhome rental, you really should check out the deals online at cheapmotorhomes.co.uk. Deals on offer right now include a 2-berth at UK £19.48, 3-berth at UK £29.22 and a 4-berth at UK £29.22. Video: Motorhome tour of Sutherland, Scotland, taking in fishing along the way.